Does The Janome MC-6300P Professional Quilting Sewing Machine Provide A New Approach For Keen Quilters? Janome may not be a name that instantly springs to mind when it comes to sewing machines, because Brother and Singer clearly own the market, but that does not mean that the Janome MC-6300P Professional Quilting Sewing Machine should be overlooked as an option for quilting and sewing because it has some interesting features in its specification. Classed as a professional, heavy-duty machine, this computerised option promises to offer the versatility that buyers want from this sort of machine with plenty of helpful extras. Are users impressed with this model or do they wish they had gone with a more familiar brand? What advantages have buyers appreciated when testing out the abilities of this Janome MC-6300P? The machine promises a lot of abilities when it comes to sewing and quilting through the different stitches that can be used, the designs that can be downloaded and other elements like the 4 buttonholes. There are 66 stitches in total and not only has this Janome sewing machine given users the chance to get more creative with their different sewing projects, there are plenty of reports about it being easy to set up too. The assembly is minimal and there is a helpful manual included just in case. In addition to the types of stitches that can be used to help users create these different quilts and garments there are the different features and automated parts within the machine that are included to make the task even easier. The extension table is helpful for providing more workspace, there are lots feet in the box to help users with the different tasks and there is also an automatic thread cutter. Another advantageous feature is the LED display that helps with the process and offers information such as an indicator when the bobbin is running low. 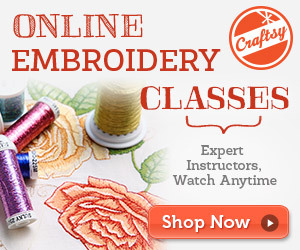 Overall, buyers seem to be enjoying the chance to sew with these extra aids and learn what they all do. Are there any downsides to using this Janome MC-6300P Professional Computerised Quilting Sewing Machine? Not all buyers are won over by this Janome MC-6300P and some lowered their scores and send it back because it simply didn’t meet their personal needs for their projects. One reason for doing so has been the lack of a free arm; it is something that has surprised a few users when there was so much else considered by the designers but its omission does not affect everyone’s work too badly. Others have reduced their score simply because the range of new features meant that there was a steeper learning curve than expected. Summary: is this Janome Quilting Sewing Machine a recommendable option for keen sewers with all of this in mind? There is the tag line with this product that it has “serious features for the serious sewist” and there is the clear sense that the designers have tried to throw in everything that keen sewers and quilters might need with the computerisation and accessories. Users have progressed to this machine and been impressed by what was offered so the idea of it being a more advanced, yet still beneficial option is apt. There is a learning curve to the Janome quilting machine and no free arm but there is also the chance for greater creativity and development with the range of features and overall ease of use. Find more customer reviews about the Janome MC-6300P Professional Heavy-Duty Computerized Quilting Sewing Machine on Amazon here.